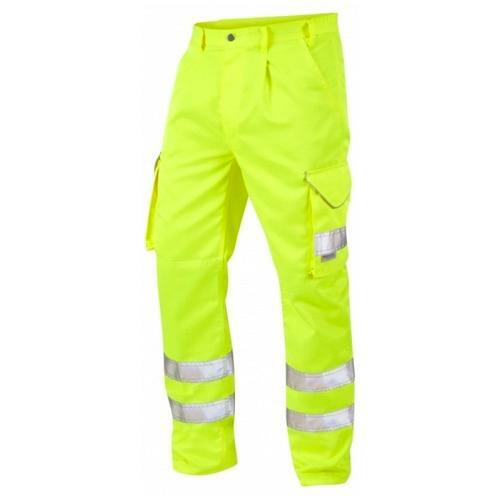 This hi vis superior cargo trouser from Leo Workwear is a popular hard wearing cargo trouser which has been designed for comfort, durability and functionality. 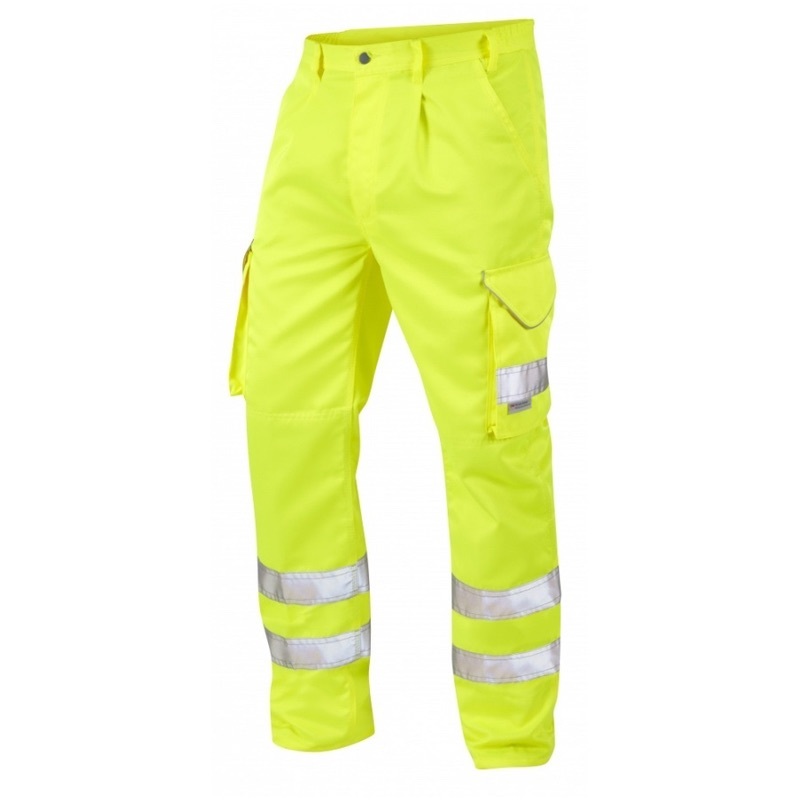 This hi vis trouser has been created with product longevity in mind, with features such as triple stitched inner and outer leg seams, quadruple stitched 3M Scotchlite reflective tape and YKK brass fly zippers. The cargo pockets are bellowed, reinforced and secured by a velcro fastened flap; making them a great storage solution. The pocket also benefits from an additional reflective stripe for enhanced night time visibility. These trousers are perfectly suited for working on roads. Please note these trousers are elasticated on both sides and will expand to at least 1 1/2 inches more than the trouser waist size selection. See the rest of our Hi Visibility Trousers. Regular leg - waist sizes 28" - 54"
Tall leg - waist sizes 28" - 54"